I seldom agree with Morgan Liddick, but he normally gives a reasoned argument that makes me think about my views. However, in his column “In a Democrat World” Mr. Liddick has joined in lock-step with our overly provocative president. “George Soros’ mob of Brownshirts besieging Capitol Hill” is a comment worthy of inclusion in a typical Trump rally. Mr. Liddick’s half-truths go on endlessly, but the most egregious is the charge that it was the Democrats who were responsible for condemning the Scottsboro Boys and killing Emmitt Till. I’m sure that Mr. Liddick is aware that the Southern Democrats he is speaking of are today’s Southern Republicans. Richard Nixon and Ronald Reagan appealed to this way of thinking in Southern Democrats who were successfully wooed to the Republican party. If Mr. Liddick cannot be more truthful and forthcoming in his opinion pieces, perhaps he has no place in a reasonable newspaper. I am a second-home owner in Summit County who has paid property taxes in Summit County for 35 years. I am a registered Republican and a pro-choice retired neonatal perinatal physician. I am pro-child, pro-family and pro-women’s rights. Embracing these tenets and walking the walk in some of the most horrendous situations of human reproduction and women’s health hasn’t been easy. The right choice is often the most difficult choice has created both internal and external conflict. It has been difficult. This first paragraph was to provide you a bit of personal background, the following is to give you information on the upcoming ballot as I see it. Like all second-home owners in the county I am part of a group that pays the vast majority of the property tax in Summit County. I am also without voice at the ballot box. That alone could make me reject any and all tax increases but it does not. I see the needs of family, children, community and place them foremost. However, I am of the opinion that the way in which 1A and 6A are presented to the voter as all or nothing defeats the right and responsibility of the voter to direct the government. It usurps the voter’s right to make a clear, transparent, honest choice to tell your elected officials how they need to represent you, the voting public. The people who have directed our elected officials to lump provisions on the ballot should also bear responsibility as it reeks of political manipulation and self interest. This behavior undermines democracy and the freedom to make an informed consent. If there has ever been a time in Summit County to provide direction to the county government this is it. 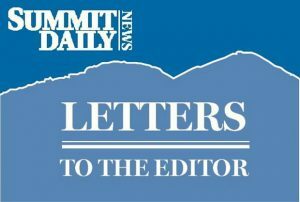 The fact that the issues are not allowed to be voted on based on individual merit is a travesty and to me a gross insult to the intelligence and integrity of the voter in Summit County. You have a right to expect a ballot where choices are uncompromised and clear where each choice stands on its own merit and is given a clear up or down vote. Do not look at this ballot for your own personal gain but look at it as a form of manipulation where you give up a freedom to direct your elected officials. No voter should have to ever face this type of government coercion of choice at the ballot box. I’m not against wildfire mitigation, mental health services, affordable early childhood care/education and recycling. I’m just against all four of these programs bundled into a one-size-fits-all pork barrel. I would rather see the county commissioners exert more efficient scrutiny over the existing budget in order to fund these programs; especially the large tax increase already passed four years ago for similar programs that still has funding available for the remaining four years until it sunsets. Let’s look to existing appropriations and current budget surpluses of $20+ million for funding first before we go back to the voters for unnecessary tax increases. Only if funding is not available under that budget scrutiny should we consider new taxes. And only then if these programs on 1A are unbundled and presented to the voters one at a time as four separate ballot issues each with its own mission, funding source and individual benefits that can stand on its own merits. The tax-and-spend county commissioners saying just “trust us and vote yes” is not comforting to me. They need to go back to the drawing board and do their jobs to present us with four separate, verifiable, transparent ballot issues. We don’t want 1A, we want one at a time. If you are a registered voter in Summit County, I am encouraging you to vote “Yes” on Ballot Issue 7D, regarding funding of Colorado Mountain College, in the upcoming November election. I have had the opportunity to get to know the college first hand over the past seven to eight years and am consistently impressed with its offerings, its students and staff. Your “YES” vote on 7D allows CMC to remain the high quality, affordable asset that has been in our community for more than five decades. CMC is the primary provider of first responders, firefighters, nurses, early childhood educators and hospitality workers in our mountain communities. CMC provides free college courses for our high school students through concurrent enrollment, saving Summit County families thousands of dollars and giving students a leg up entering college. CMC offers each “in district” high school senior automatic admission to college and a scholarship to go with it! CMC has served nearly 500,000 students since its inception 50 years ago. Continued support for CMC is critical to ensure the essential services and workers needed for our mountain communities to thrive. Yes on 7D does NOT increase residential tax rates above current levels, it simply allows the college to respond to a quirk in The Colorado Constitution (Gallagher Amendment) that is negatively impacting mountain and rural communities. In 2017, this quirk caused a revenue reduction to CMC of over $2.7 million. It is projected that this level will be lowered again costing CMC an additional $3.8 million in 2019. These reductions are permanent and will continue as long as growth in the Front Range continues to outpace growth in rural Colorado, again causing a revenue reduction to CMC limiting or eliminating many of its services. Voting YES On 7D freezes the residential tax rate at current levels and ensures CMC’s ongoing ability to remain our affordable, high quality local college. Join me in supporting CMC and all it does for our community, VOTE YES on 7D!